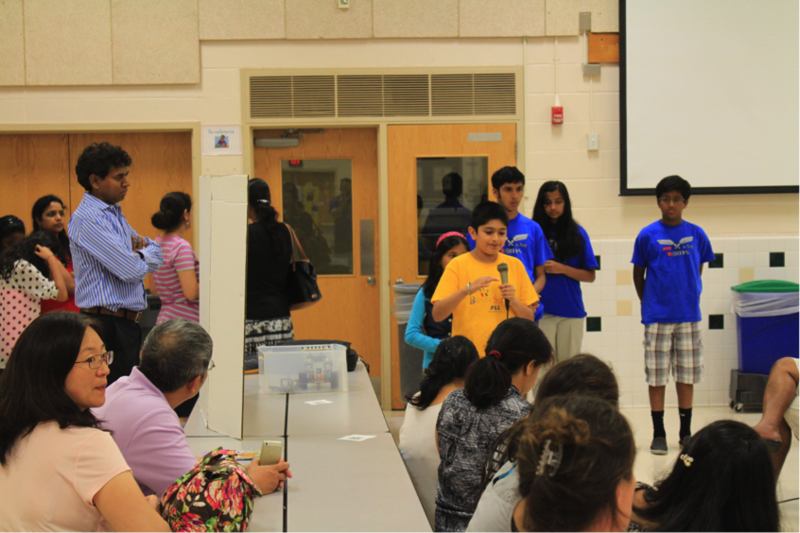 FLL Core Value: We share our experiences with others. 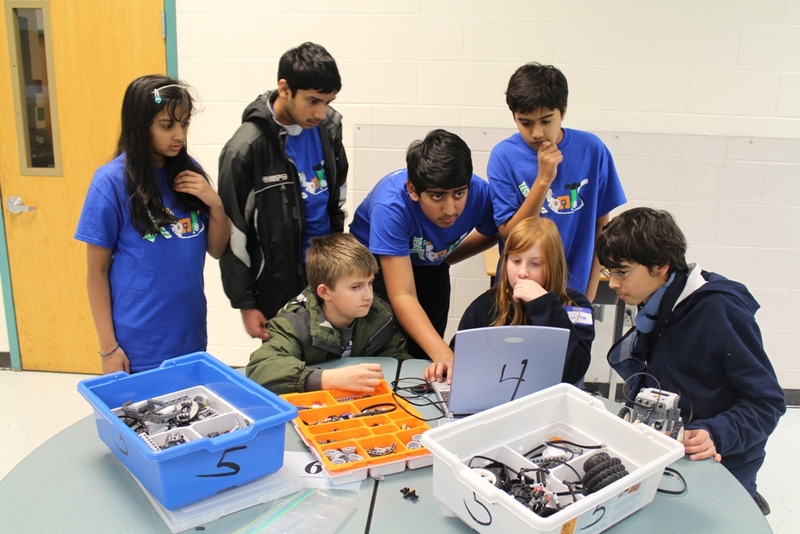 Team X-BOTS believes that FLL Core Values play a critical role in developing youth into responsible, productive and innovative adults with problem solving skills, and a sense of service to help their community – whether it is local, national or global. If you are not familiar with core values, check here. 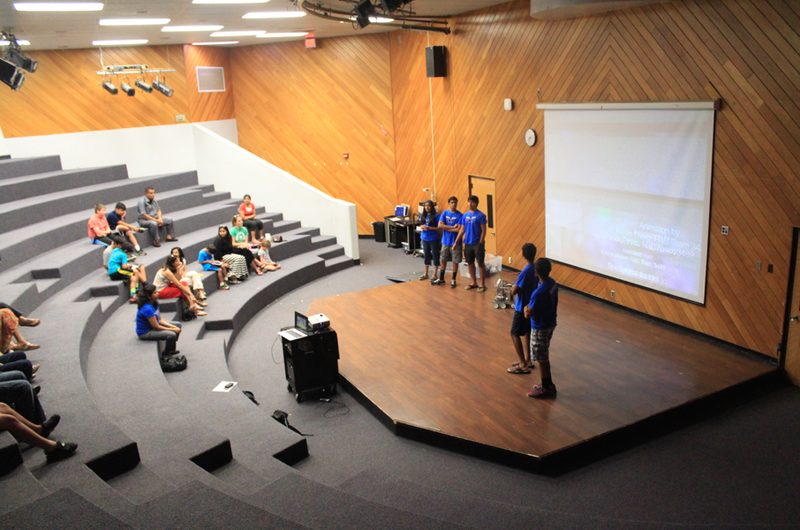 Starting in 2010, we have been a part of a number of events on local and national stage where we participated, and shared our experiences. 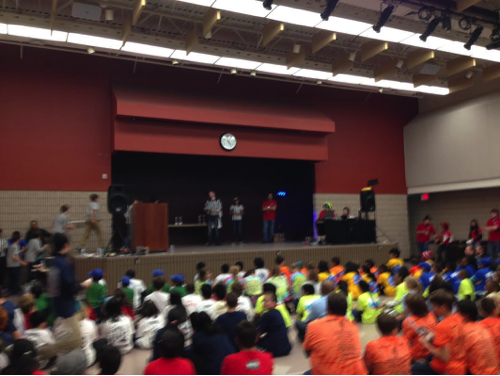 See some of the pictures over the years..
X-BOTS mentored FLL team Brainstormers sharing their rookie year FLL experience at Greenbriar West. 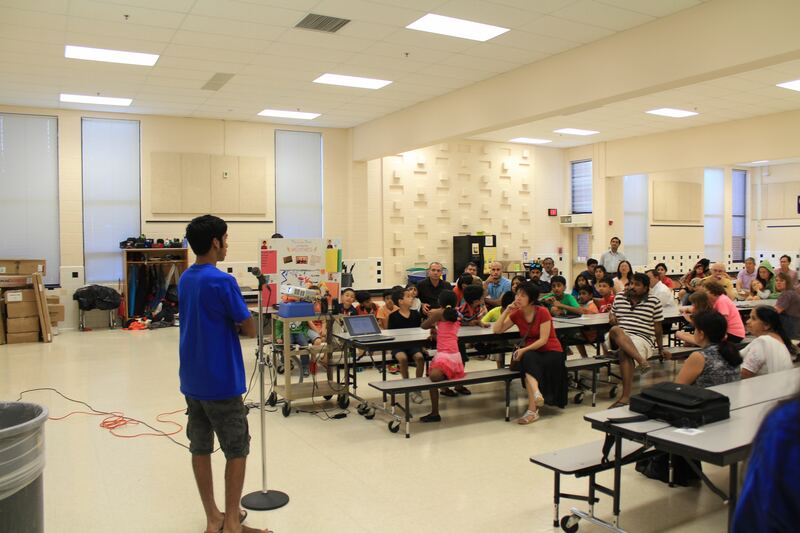 Nikhil presenting FTC, FIRST and all the fun it is.. Check out our community category here for more.